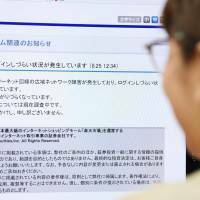 A widespread internet disruption hit Japan on Friday, blocking access to banking and train reservation services as well as gaming sites. The disruption was limited to the networks of NTT Communications Corp. and KDDI Corp.
NTT Communications, which runs the OCN internet service, said the problem occurred because an overseas network service provider that OCN uses suddenly switched internet routes. Several experts said Google might be the network provider in question. Google’s Japan branch said it is investigating. The problem, which might have been caused by human error or malfunctioning hardware, was resolved after the normal flow of traffic was restored. OCN said the problem started at around 12:22 p.m. and lasted about 23 minutes. The government is looking into the cause, and the Internal Affairs and Communications Ministry has directed telecommunications companies to submit reports on the incident. Nintendo Co. said on its website that some Switch, Wii U and 3DS clients started complaining about poor connectivity at about 12:25 p.m.
Clients of Resona Bank, Saitama Resona Bank and Kinki Osaka Bank said they had trouble logging in to their accounts, as did customers of online banker Jibun Bank Corp. and Rakuten Securities Inc.
East Japan Railway Co. (JR East) said some users of its Suica mobile payment system complained they weren’t able to use the service, which lets them board trains and buy products using their smartphones. 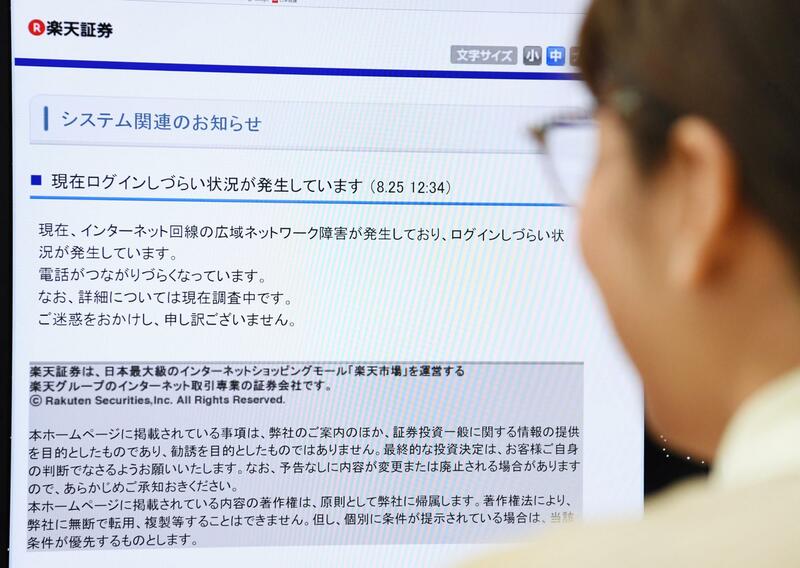 Visitors to JR East’s website also experienced poor connections, including those who were trying to use the online reservation system. 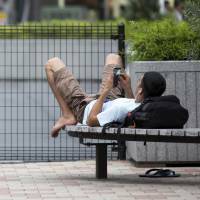 Some Twitter users complained about a network malfunction, with the phrase “connection disruption” in Japanese trending on the social media service. 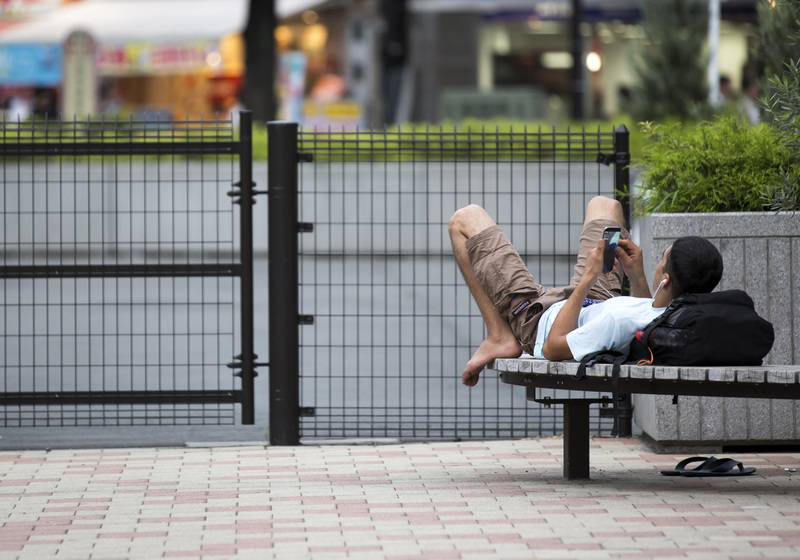 “I was using the Suica app and all of a sudden I got a message saying I was disconnected, although my connection was supposed to be working. I couldn’t restart it and can’t charge it now,” an artist who uses the Twitter handle @kanzakihiro reported to more than 53,000 followers. On the stock market, shares of cybersecurity firms shot up soon after reports emerged that various internet services had been disrupted. SecuAvail Inc., which offers services for network security, jumped 10.07 percent on the Jasdaq market for startups, closing at ¥765 on Friday.